Sunset Villa is fully air-conditioned with 2 bedrooms and 3 full baths. One bedroom has a Queen size bed, while the second bedroom (pictured right) has 2 Full beds. There is a sofa bed in the air conditioned living room for extra guests. Lose yourself in the view from one of our two spacious balconies. Sit in our comfortable, air-conditioned living room and enjoy the 70 channels of Cable TV, listen to music on our CD Player and Stereo or use the telephone with local phone service. Prepare a delightful meal in our full size and fully equipped kitchen, or on our Gas and Charcoal barbeque grill or walk over to the nearby pizza place or to the restaurant on the beach. Sunset Villa is minutes away from Antigua's top restaurants and entertainment. The Coconut Grove Restaurant, recently touted by The Times of London as "Every Visitor's dream of what a Caribbean restaurant should be"
Rush Night Club, one of Antigua's premiere clubbing destinations which plays a fusion of music to suit all tastes. The Cedar Valley Golf Course was designed and built by Ralph Aldridge opened with 9 holes in 1970. The completely constructed 18 hole course opened to the public in 1977, as Antigua's only 18-hole championship Golf Course. 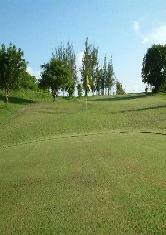 Green fees range from US$18 – US$35. Call 1-268-462-0161 for more information. Why not combine your vacation to Antigua with a mini DX-pedition? We offer a ham friendly QTH (location) with an easy access roof deck for installation of small YAGI or vertical antenna. Recent operations by V26HS at our QTH made records of the first Antigua to Denmark, Croatia and Hungary contacts on the 6 Meter band. The operation by V26RM at the same location was the first official 60 Meter band operation from Antigua in history. 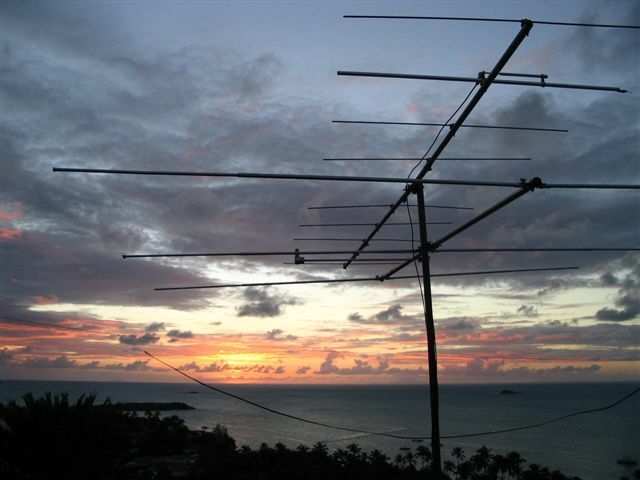 The demand for contacts with Antigua V2 remains high on the WARC bands 30M, 17M and 12M. The demand is also high for 6M E and 2M EME contacts. So why not join the fun and in your own record breaking operation from Antigua? Reciprocal Licensing is easy, just bring a copy of your amateur license from your home country and your passport.